You wait around for a gig and then four turn up! Yay! 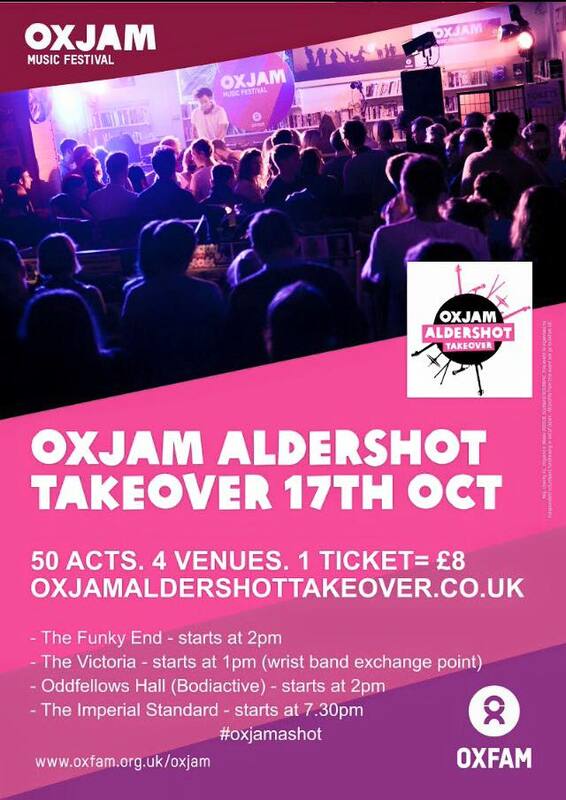 First off is an all day event as part of the Oxjam Aldershot takeover on the 17th October. We will be playing in Oddfellows Hall at 7:30pm, but frankly you should come early and check everything out. It will be fantastic! Second gig is at the University of Surrey in Wates House on the 6th November. We should be on around 8pm. The third gig is on 5th December in Hollywater at The Royal Oak. This is part of the Big Fat Day Of Rock! And last but not least is on Saturday the 16th January at Farnborough Football Club. 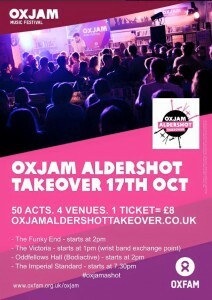 This is a gig in aid of the Forward 4 Wiz Trust. If those four reasons to get out of your house and go and ROCK OUT don’t do the trick then we suspect nothing will!